(Combined Sources) – On Saturday, November 7, at 7:00 PM, the Hye Doun commemorative concert to mark the 100th anniversary of the Armenian Genocide will take place in Miami Beach, Florida, reported FLArmenians.com. Hye Doun is a collaboration of Arts at St. Johns and Harmonic Motion. Through music, dance, song, and narrative, the World War I Armenian Genocide in the Ottoman Turkish Empire will be illuminated. 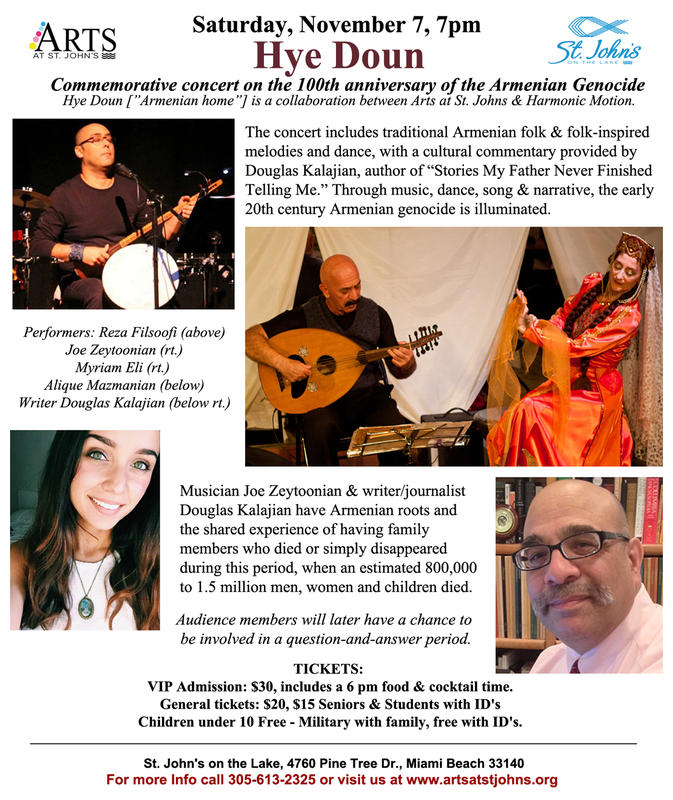 Local South Florida Armenian Americans, musician Joe Zeytoonian and author/journalist Douglas Kalajian, will share their experiences of having family members who were killed or simply disappeared during this period when an estimated 800,000 to 1.5 million men, women, and children died. “When musicians play these songs, they’re preserving this culture. 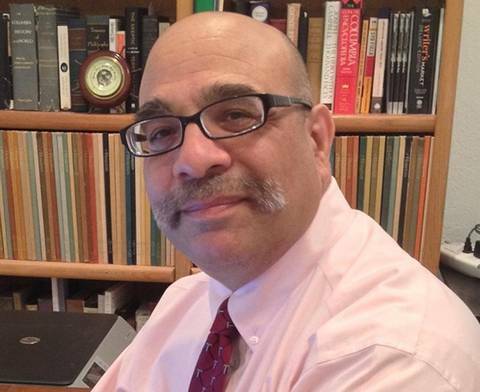 It’s a gift not only to me, but to the whole world,” Kalajian told the Miami Herald. “Armenian music has a particular nostalgia in its sound. My sound is a combination of that and the Anatolian roots of my parents who were driven from their homes in Maras, Turkey,” Zeytoonian said. 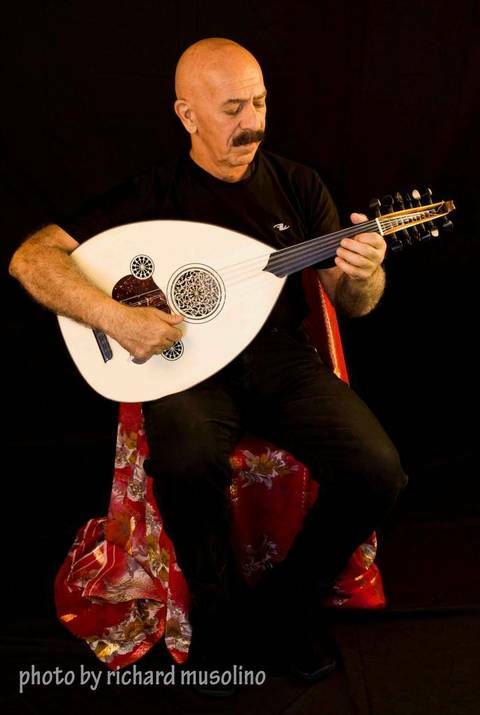 Performers include Myriam Eli (percussion and dance), Alique Mazmanian (vocals), Reza Filsoofi (setar and percussion) and Joe Zeytoonian (oud, percussion, and vocals). The Hye Doun concert is part of Arts at St. Johns 2015-2016 season theme “Places We Call Home.” Nearly 75% of the residents in Miami-Dade County have come from other places. With physical homes in South Florida, many are emotionally bound to other cities, states or countries. Because of socio-political circumstances, some homes exist only in heartfelt memory. Military and family are free with ID’s. Children under 10 are free. FOR MORE INFORMATION ABOUT THE CONCERT, please contact Carol Hoffman-Guzman at 305-613-2325 or artsatstjohns@bellsouth.net. Posted on October 23, 2015, in Armenian Genocide, Arts & Culture, Events, General Update, News and tagged Armenian Genocide, Douglas Kalajian, Florida, Genocide, Joe Zeytoonian, Miami, Miami Beach, Turkey, WWI. Bookmark the permalink. Leave a comment.